Yuki and Tohru ~ "You Say"
Do you prefer Tohru and Yuki or with Kyou? Is this your fav Furuba couple? Were you mad when Yuki sinabi that Tohru was a motherly figure to him and he was just craving for pag-ibig and attention? ang napili ng mga taga-hanga: YES! WTH IS THAT??? Psccch, no, Kyo is better. Shigure: Since Kagura and Kyo is on a date, why don't you two go on a date? Yuki:Yes, lets go on a date, why don't we go to out secret base. a comment was made to the poll: Do you prefer Tohru and Yuki or with Kyou? a comment was made to the poll: Yuki or Tohru? a poll ay idinagdag: Yuki or Tohru? 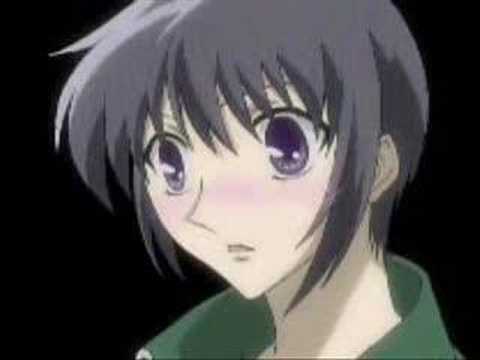 a video ay idinagdag: Yuki and Tohru ~ "You Say"
Fruits Basket-Yuki and Tohru Pagtitip. Don't you wish it ended differently?